When Mitt Romney was caught on camera writing-off 47 per cent of Americans as tax avoiders, Democrats were quick to jump on his remarks as another example of the Republican Party’s ‘empathy deficit’. Since Barack Obama identified a lack of empathy as the cause of America’s bitter partisan divides, a series of studies have claimed to show that conservatives score lower on empathy than liberals. As one would expect, Republicans contest these findings, arguing that such studies tend to favour Democratic principles of compassion and care over Republican philosophies of autonomy and self-help. It’s not that they have less empathy, they argue, it is just that there are times when other moral values such as justice and self-determination take precedence and compassion should take a back seat. This notion of empathy as an affective capacity that can be switched on and off at will was also invoked by the Norwegian neo-Nazi Anders Behring Breivik during his recent trial for the mass murder of 69 young Labour activists on Utoya island. In a bid to avoid being found criminally insane by a Norwegian court, Breivik had to convince the panel of judges that he was capable of normal emotional responses but had somehow managed to set his feelings to one side. 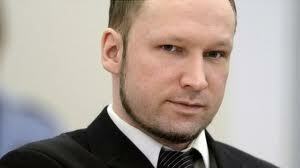 In short, Breivik had to demonstrate how it was possible to be empathic and cruel at the same time. Breivik’s solution was novel: it wasn’t that he lacked empathy, he explained – on the contrary, he had deliberately spared the youngest and most vulnerable children on Utoya. Killing the others hadn’t been easy either, but using a ‘meditation’ technique he had been able to bypass his feelings. ‘If you are going to be capable of executing such a bloody and horrendous operation you need to work on your mind, your psyche, for years,’ he explained. In quoting Breivik in his own words, I do not wish to suggest that we should accept his account at face value – on the contrary, it may well have been a ploy to manipulate the court into returning a criminal verdict, thereby validating Breivik’s desire to be regarded as a political martyr. Nor do I wish to suggest that Breivik is sane or that Republicans are somehow like mass murderers. Rather I wish to examine how Breivik’s novel defence destabilizes the view of empathy as an intrinsically pro-social affective state. This notion, which pervades social psychology and social neuroscience, holds that when we empathise we both mirror the distress of the ‘other’ and are also moved to respond in a way that is culturally appropriate. In other words, unless our brains are damaged or we are developmentally abnormal, we are saddened by the suffering of others and that sadness becomes the seed of our compassion. The problem with this definition is that it elides the important distinction between the cognitive and affective aspects of empathy and also between empathy and sympathy, the far older term with which it is often confused. It also glosses over the fact that, historically speaking, empathy has been a shifting and multi-faceted concept, denoting variously an aesthetic response to a work of art, a term in interpersonal psychology, and a means of furthering historical and psychological understanding more broadly. When Obama chided Romney for his lack of empathy, he can be seen as privileging what the medical anthropologist Allan Young calls a ‘human nature 2.0’ model of empathy. Implicit in this model is the notion of empathy as a pro-social affective capacity that has been selected by evolution. But what if this notion reflects nothing more than the current vogue for connectedness that permeates the post-Darwinian sciences and our internet-obsessed times? What if instead of empathy 2.0 being the basis of modern social life it is merely a product of current scientific fashions and a morally wishful reading of evolutionary psychology? Derived from the German word Einfühlung, meaning ‘feeling into’, empathy originally designated an aesthetic response to a work of art. For the German art historian Robert Vischer, Einfühlung was an enlivening process whereby an art object evoked actual or incipient bodily movements and accompanying emotions in the viewer. This process was not merely kinaesthetic but also involved the projection of one’s personality into the object, resulting in what Vischer called the creation of a ‘second self’. As the historian of science Susan Lanzoni has shown, in English empathy first appeared misspelled as ‘enpathy’ in a 1909 lecture by the Cornell psychologist Edward B. Tichener, and in a translation credited to the Cambridge philosopher and psychologist James Ward the same year. Turning to the Greek ‘empatheia’, Ward saw empathy as a kind of personification, while Tichener cleaved more closely to Vischer’s kinaesthetic meaning, envisaging empathy as reflex response of the ‘mind’s muscles’. At this stage, empathy was about projection rather than perspective-taking. 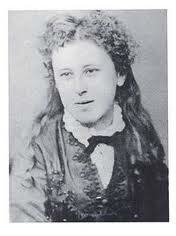 This made it very different from Victorian notions of the ‘sympathetic imagination’, which novelists like George Eliot had conceived as a cognitive act in which readers learned to extend themselves into the experiences, motives and emotions of fictional characters. For empathy to become more like sympathy, Einfühlung first to transit from aesthetics to interpersonal psychology and the new brain sciences. This process can be traced to the German philosopher and psychologist Theodor Lipps. Writing in 1903, Lipps had stressed the projection of inner activity – the feelings and strivings of the ego or self – into the perceived object, thereby making Einfühlung as much a psychological as an aesthetic process. 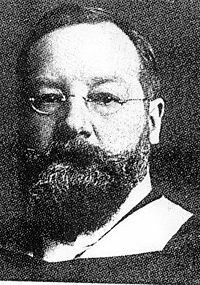 In Britain, Lipps’s ideas were taken up by the Victorian critic and novelist Vernon Lee (Violet Paget). Somewhat idiosyncratically Lee translated Einfühlung as ‘sympathy’, comparing the process to the sort of perspective-taking that occurs when ‘we “put ourselves in the place” or more vulgarly “in the skin” of a fellow creature’. At first Lee’s definition seems to recall the famous passage in Adam Smith’s The Theory of Moral Sentiments about how even ‘the greatest ruffian’ is capable of sympathising with the sorrow of others. However, as Lanzoni has shown, Lee’s main contribution was to psychological aesthetics and it took early personality theorists like Gordon Allport and Carl Rogers to assign empathy a central role in personality development and for empathy to be embraced by psychoanalysis. At this point, empathy was still very much a cognitive process, but in 1992 a group of Italian researchers launched a new empathy craze when they observed mirror neurons in macaque monkeys that fired both when they picked up a raisin and when they saw a person pick up a raisin. Soon mirror neurons were being hailed not only as the basis of animal mimicry but as the source of what Jeremy Rifkin, the high priest of ‘empathy neurons’, calls humanity’s desire for ‘intimate participation and companionship’. The result is that today empathy is increasingly seen as the modern-day equivalent of Smith’s moral sentiments. But as Romney’s politically inept remark demonstrates, if empathy is reduced to a reflex then logic dictates that under certain circumstances it can also be switched off. And if Breivik is to be believed, it can also be inverted into its opposite: namely, counter-empathy, or feeling good when someone else feels bad. Indeed, writing in the Guardian shortly after Breivik’s arrest, the psychologist and autism expert Simon Baron-Cohen endorsed something close to this viewpoint when he argued that Breivik’s actions were best explained by a combination of low affective empathy and his extreme ideological beliefs. The problem with this type of empathy, of course, is that it is no basis for morality, which is why we frequently invoke other values and principles to balance such tendencies. This is precisely the argument made by the psychologist Jonathan Haidt in his latest book, The Righteous Mind: Why Good People Are Divided by Politics and Religion. According to Haidt empathy, or what he labels the ‘harm/care’ module, is just one of several emotional dispositions that undergird our moral outlook, the others being ‘fairness’, ‘liberty’, ‘loyalty’, ‘authority’ and ‘purity/sanctity’. The difference between Democrats and Republicans is that while liberals focus almost entirely on care and fairness, conservatives tend to give equal weight to all six dispositions. In theory, this should have been good news for Romney, especially as something like 42 percent of the American electorate self-identify as conservative. That it wasn’t is a measure of the extent to which empathy has become a political buzzword and a measure of electability in America. Indeed, it is noticeable that rather than defending his comments about the 47 percent on traditional conservative grounds, Romney spent the closing weeks of the campaign desperately trying to persuade voters that he was just as compassionate as Obama, even going so far as to cite his passage of health care reform when he was governor of Massachussetts – somewhat ironic given his promise to repeal Obamacare if he was elected. 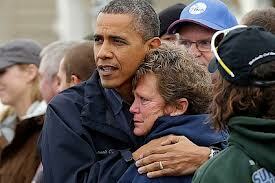 Even before Hurricane Sandy upset the candidates’ campaign plans, however, that was not an argument that carried much weight with the undecideds, much less the 47 percent, and following the pictures of Obama embracing the victims of the storm damage it was pretty much game, set and match to the incumbent. Indeed, if there is a lesson to be drawn from the 2012 presidential election it is that compassion is here to stay and that where candidates once talked about ‘the economy, stupid’, they would now be well-advised to invoke a different ‘e’-word. Mark Honigsbaum is a Research Associate at the Institute and Musueum of the History of Medicine in Zurich. This entry was posted in Emotional Currents, General, Research reports and tagged Allen Young, compassion, empathy, Obama, Romney, Susan Lanzoni, sympathy, Vernon Lee by Mark Honigsbaum. Bookmark the permalink. Very interesting and thought-provoking essay. Thank you so much.